Great news – I survived Freshers’ Week! As, I think so far and on the whole, have the Freshers themselves, so good news all round really. It was as exhausting and sometimes exhilarating as usual, but to my mind we paced ourselves better this year and that’s made all the difference. Also we knew what we were doing more, as we’d had the first bite at the new system last year so it felt familiar this time round. The biggest help of all though has been that instead of having two Information Point tables (that we’re responsible for), we’ve had one, so it’s meant that Ruth and I don’t have to be there all the time on our separate tables but we’ve been doing about two hours on and two hours off on a rota system during the day so we each get a chance to regroup and stop the work piling up in the office. As I’ve said before, being at the Information Point is much like performing on stage, so I reckon two hours is just about right before the need for an interval comes upon us. All this rushing about and preparing for change this week has utterly wiped me out though and I have had a 2.5 hour nap this afternoon, well really and it must be my age … I think it’s done the trick though as I’m ready to continue our mammoth DIY project once K gets home. This morning, I’ve painted half the ceiling in the spare room and put a first coat of gloss on the window alcove skirting board and window ledge. Once the 2nd coat is on, we reckon that the alcove will be done and we can move things back into it, thus creating space in the non-decorated part of the room so we can start having a go at that too. The good news is that the hallway and front door is now finished and looks very nice indeed, hurrah. 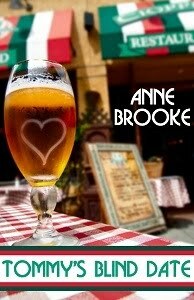 I’m pleased to say that Tommy’s Blind Date is now available as a Kindle book at Amazon US and Amazon UK, and a copy or two has already been purchased at both stores – which is surprising as Amazon UK Kindle has a lot of catching up to do with its American cousin in these early days of its existence. Meanwhile, The Hit List received a lovely 4.5 star review at Goodreads, so thank you, Jo, for your comments. And The Delaneys and Me made a brief visit to the Amazon Top 100 charts, but has disappeared once more, alas. Publishers have been busy too, and you can now find all my Untreed Reads books in one convenient location (thanks, Jay!) so if you want to know about dancing, nature, fruit, art or accountancy, or perhaps all of these, you know where to go. 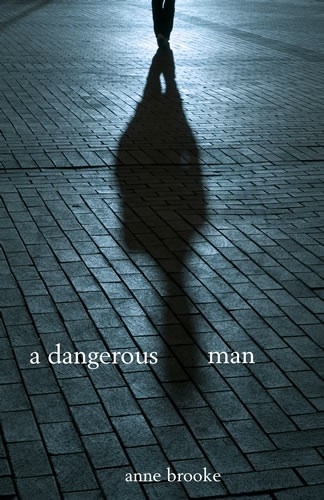 Looking forward to October, I’m delighted that A Dangerous Man, which is due out on 15 October, now has its own page at Cheyenne Publishing – a perfect read for those dark autumnal days indeed. I’m very happy to say that Tommy’s Blind Date gained a lovely 4.5 star review at Jessewave Reviews – so thank you, Wave, for that! It’s also been lucky enough to gain two 4 star reviews at Goodreads, one from Ami and the other from Chris – many thanks, both. It’s much appreciated. 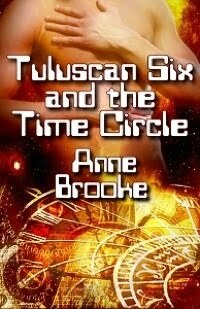 Determined not to be left behind, Tuluscan Six and the Time Circle also received its first review at Obsidian Bookshelf, which I’m very pleased about. Thank you, Val! I’d been worried nobody liked it at all so nice to know some do. Meanwhile, I’m continuing the edits for The Prayer Seeker and hope to have finished them by the time we get to Freshers’ Week (aarrgghh!!!) at the end of September. I like to have a clear head for battle, don’t you know. and no-one’s learnt a thing. Hmmm, ruddy vendors. What can I say? I’ve really lost interest in them and in their flat myself now, so if that’s what they were aiming for, they’ve certainly succeeded. What’s happened most recently? Well, they were fairly unhelpful over the weekend (which is becoming something of a hobby for them really), accusing us of chopping and changing our demands. We responded by saying that may indeed be true, now, but it is after all a skill we have learnt from them. No response to that, yet, hey ho. We have therefore returned the plants we were tending on their behalf to the flat – well, we don’t want to be accused of taking them without permission even though that’s what they agreed to (vendor memories don’t last long, I fear …)! We have also removed the items of our neighbour that have been in our outer hall cupboard and put them back in his flat (neatly, of course – how could you think otherwise, ho ho?! – and we have at least informed them that’s what we’ve done), and taken the precaution of fixing the cupboard with a padlock and marking it as ours. Just in case of dispute, don’t you know. Really, it’s been nice to store some of our larger items in it and creates much needed space for us. 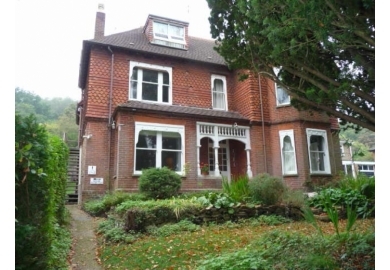 Therefore, in the interests of making our flat as purchasable as possible, I have scrubbed the outer hall stairs and window, tidied and dusted the shared hallway, sanded and washed the bathroom door and skirting board, cleaned the fridge, and K and I have washed the kitchen walls. Lordy, we’re good! Actually, if the vendors do unexpectedly start playing nice and taking our offer seriously, I’m now at the point where I actually don’t want it any more. I think it will be far nicer to move elsewhere, frankly. Their loss. And I do think it’s high time K and I moved on. Today, Liz came round for tea (hello, Liz!) and we had a lovely chat whilst she admired our sparkling new hallway. We then put the world to rights, and the universe is now perfect. Don’t blink in case you miss it!